The ancient pyramids are one of the most astonishing structures that are present in the world. Built during the ancient times, they do not have the luxury and the advantage of modern machinery or tools to make things easier for them. Therefore, these huge structures have been a constant point of fascination for everyone. 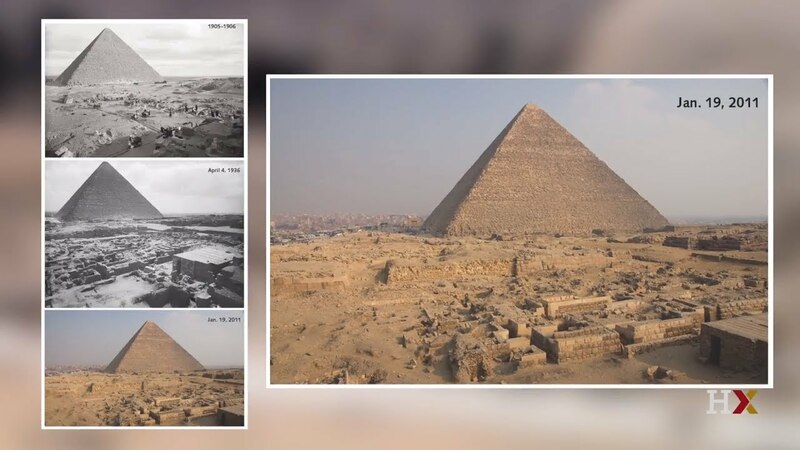 When we use the word, ‘pyramid’, ancient Egypt comes into the picture but the fact is that they are existent in other parts of the world as well. The question, however, is ‘Why did the ancient people build pyramids?’ What are their purposes?  Is there a meaning behind the standing triangular shape? If there is, how are they built without any heavy machinery? It is impossible to imagine the movement of rocks without any moving tools. Therefore, this article is strictly dedicated to knowing how the pyramids are built and why they are built? The pyramids of Egypt, accordingly, are the largest man-made structures that are ever built. Also, they stand for the enduring civilization of Ancient Egypt reflecting their traditions and cultures. 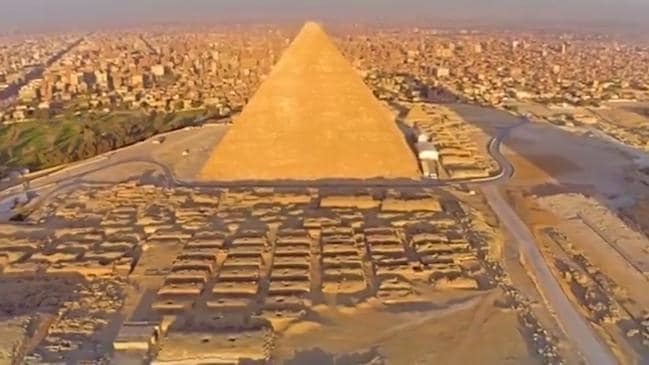 Most of the Architects, as well as the Archaeologists, believe that the pyramids are nothing but burial monuments which are associated with stellar cults of solar culture. 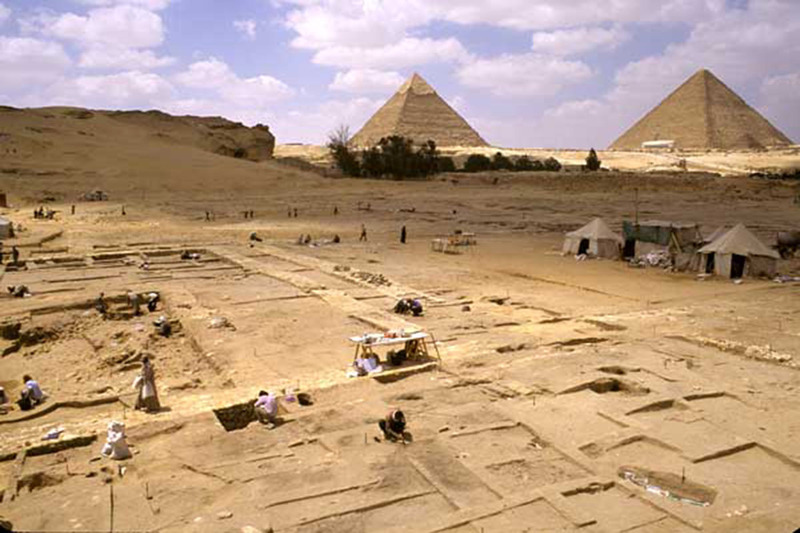 If we observe the timeline of Egypt, most of these periods belong during the old and middle periods of the Kingdom. Getting back to the basic question, what exactly is a Pyramid? Pyramids of various sizes, types, and complexities that are built during the ancient period across the world. They cover the regions of Egypt, China, Greece, and even Central America. Predominantly existing in main parts of Egypt and China, they were primarily monuments and tombs that belonged to leaders and kings. In the history of China and Egypt, the Pyramids belonged to Mayans and Aztecs. While in Central America, they are mostly burial chambers and religious temples. Among all the pyramids of the world, the Central American pyramids are smaller, while the Egyptian pyramids are bigger. However, these pyramids take longer to finish because of the width. 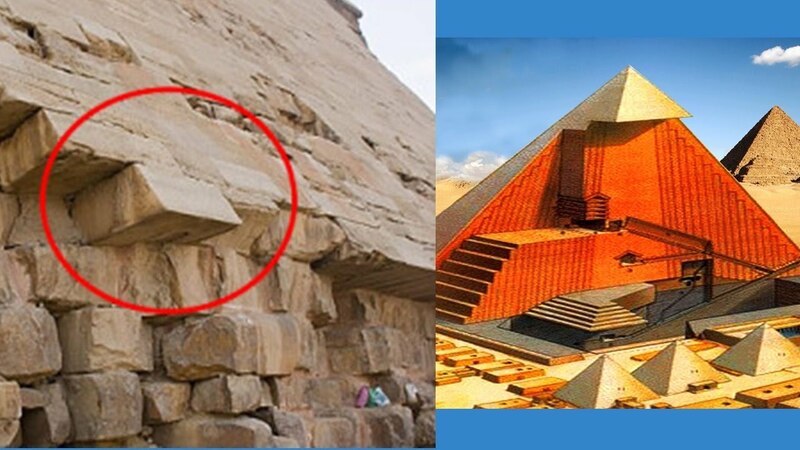 Over hundreds of years, they are built and modified while the Egyptian pyramids take decades to even construct. Pyramids in Central America were integrated with the Mayan and Aztec cities, where Egyptian pyramids are located far from the cities. The ancestors came up with these great structures in order to project them as burial tombs through Europe and North America. These pyramids, initially are nothing but simple mounds of earth covered with mud. The first people to introduce pyramids to the world are Pharaohs. Their tombs were flat and box-shaped, named as ‘Mastabas’. Later, they started building pyramids by adding various levels on the box to form the stepped pyramids. Stepped pyramids are extremely prevalent in Central America and during the Mesopotamian period, they are referred to as Ziggurats. It’s the Egyptians who have taken the pyramid designs to new heights. During the construction of the pyramids in the 26th century B.C, Giza; the laborers have used around 2.3 limestone and granite blocks to build a pyramid. The Pyramid of Khufu is a major example as it stands at a height of 146 meters with a square base of 230 meters, each side. The total weight of this period is known to be 6.5 million tons. After this pyramid, a lot of pyramids have been constructed and have survived for thousands and thousands of years. Even after being constantly exposed to several elements, they stood out, paying tribute to the architects and engineers who built them. While we all know that the Egyptian Pyramids are just massive tombstones constructed for the dead pharaohs, they act more than that. The Ancient Egyptians believed that when a pharaoh dies, he becomes Osiris; the king of the dead. Therefore, the dead pharaoh has to have a place in order to carry the duties off. As his soul remains in his body, it has to be looked after. The pyramids are constructed in a manner to provide adequate shelter for the ruler. In order for the king to survive, the dead body of the Pharaoh is mummified. This is how the practice of ‘Mummy’ came into the picture. This dead body is buried with all the things that are needed for the afterlife. The mummified body of the pharaoh is carried to the tomb along with other things that are placed in the tomb. Most of the Egyptian pyramids contain furniture, pottery, statues, and other possessions. The first Egyptian pyramid that has been built is the Step Pyramid, built at Sakkara. This pyramid is built by Imhotep, for the king Djoser. It is originally intended to be a large mastaba of square shape, built over a burial chamber for further extensions. Layers were added to this pyramid in six layers, in order to make it reach 62 meters in total height. Pharaohs continued to be buried in Egypt until the 1650 BC, till the Middle Kingdom. After that, the bodies have been buried in the tombs of the Valley of the Kings. 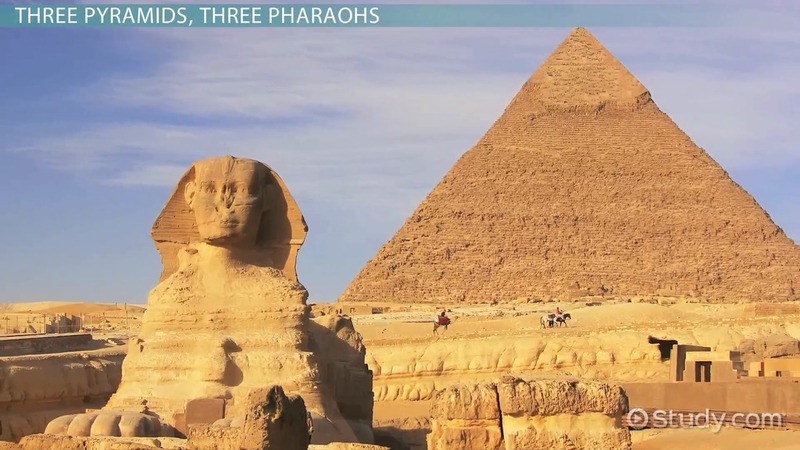 Some of the prominent pyramids include Great Pyramids of Khufu, the Pyramid of Khafre and the Pyramid of Cheops. Out of all the pyramids, the Great Pyramid is the largest with a height of 146 meters. All the Egyptian Pyramids are actually built by skilled employees who work to get paid at a certain wage. The farmers used to help draft these pyramids, especially during the floods when there is no work for them. There are too many theories surrounding how the Ancient Egyptians have actually built the pyramids. It is actually believed that larger blocks of stone were transported along the Nile river to the Giza site and then they were moved into place using ramps and sledges. The entrance of the Great pyramid is known to descend you into a passage which is around 1.2 meters high and 1 meter wide. The passage is at an angle of 26° leading to the subterranean chamber. It is believed that this chamber is a false burial chamber which is built to fool the tomb robbers. The king, however, has changed the area of his resting place with conceiving details. An ascending passage which has the same dimensions of the former passage will lead you to the Grand Gallery. There is another passage which leads you to the Queen’s chamber. This chamber, however, is not finished, which is why you can see that the walls are not decorated and the floor is uneven. It is believed that initially, the queen’s chamber used to be the king’s chamber. But because the passage has been narrow for the sarcophagus, it has been abandoned without any completion. The Grand Gallery leads you directly to the King’s chamber which is around 8.5 meters high and 48 meters long. The King’s room is about 5.8 high, with dimensions of 10.8*5.2. The inside of the chamber is made of pink granite and a sarcophagus is placed in the chamber. This is where the king’s dead body is mummified in order to restore the soul.